Getting to “now” took a lot of patience and training supplemented by good food, grooming, and veterinary care. Our biggest challenge has been managing her reactivity to cyclists, vehicles, and DOGS. Sasha’s never been the kind of dog who appreciates the up-close-and-too-personal sniff and greet, but after she was jumped by off-leash dogs, her fear level went sky-high. I’ve dedicated hours to what I think of as targeted training and positive reinforcement. We started with “Look at that!” (LAT training) to help her react calmly to cyclists and vehicles, and Sasha has reached the point where she rarely reacts to bikes, cars, and trucks. And while I was pleased with our progress using LAT training, I needed expert help to keep her moving when other dogs came into view. I turned to certified trainer Shanthi Steddum KPA-CTP who runs the Northwest Arkansas School for Dogs. With Shanthi’s help, we’re making good progress using the Engage-Disengage game. After just a few sessions (supplemented by daily at-home training time), Sasha is noticeably calmer and confident in the presence of other dogs. If you’re inclined to watch, fast-forward to the 5:23 point to see the first dog come close, and then 13:50 for the second dog’s approach. They make me laugh about the 14:25 mark when they’re clearly having a 10-second silent conversation, and again at 14:36 when the “neutral” dog breaks first! And notice I’m using a clicker here–that’s another step forward for us. There’s a limit, though, to Sasha’s tolerance for the clicker, so I use verbal clicks and say yes or good instead. Her tolerance level varies from day to day (true for all of us, I think), so I adjust as needed. 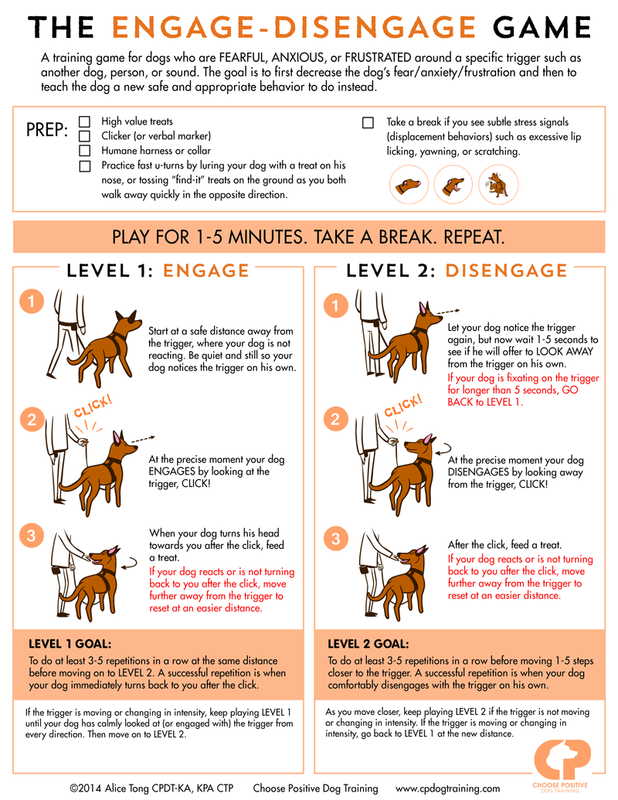 If you have a reactive dog, working on engage-disengage may help you! Both Sasha and I are learning as we go. For my part, I’m getting better at interpreting her body language and vocal signals. 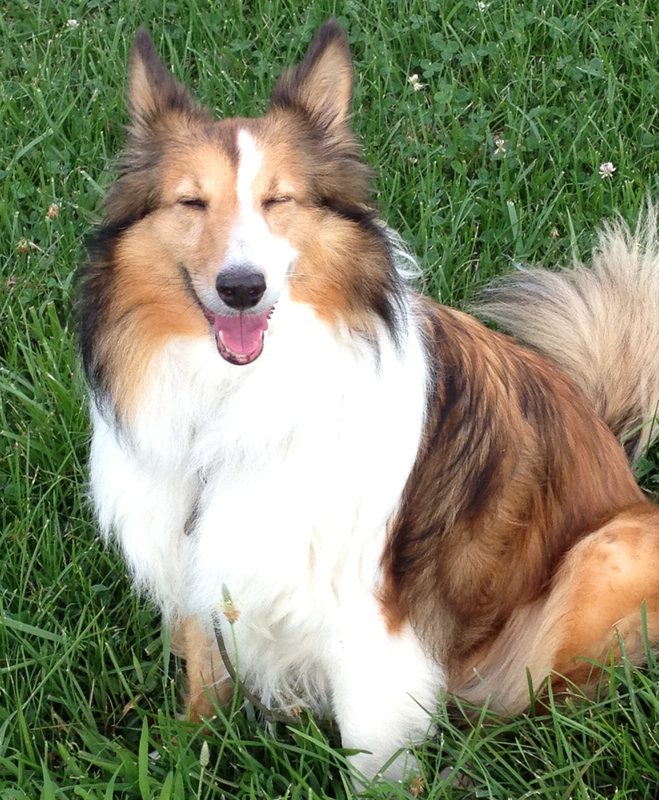 If we pass a house with dogs in the back yard, for example, Sasha will bark (hey, she’s a Sheltie! ); sometimes it’s a quick bark or two, and other times it’s a clear “conversation” between the two! If she freezes in place at the sight of another dog, I stand still and secure the leash without pulling on her martingale collar. I don’t say anything but ever since I started counting silently, I’ve realized she’ll bark up to a count of 11 (sometimes less) and then disengage by looking away and/or back at me. Then it’s treat time and we move on. Progress indeed! My next goal is helping Sasha develop confidence in calmly walking with other dogs and walking past other dogs without comment. (I still have the Canine Good Citizen “Reaction to Another Dog” test item in mind.) Stay tuned! 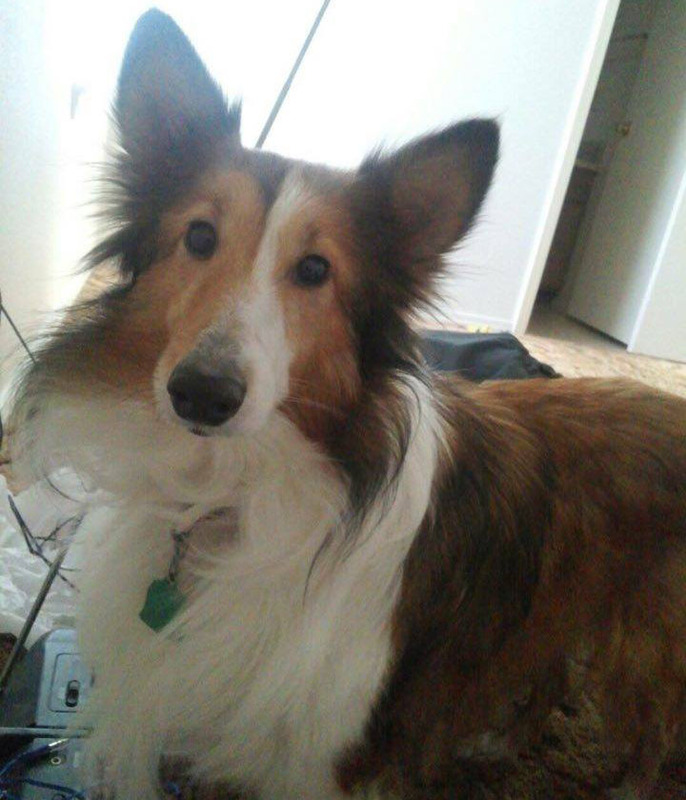 This entry was posted in Dogs, Home page, Training and tagged Clicker Training, dog training, Leash Training, NWA School for Dogs, Ozark Summer Highlands Sasha, Reactivity. Bookmark the permalink. You’re doing excellent work with her. And yes, she is gorgeous! Thanks, Dawnkinster! We have a fabulous groomer Alicia Broyles at Towne & Kountry Grooming. She has been so patient and kind to Sasha! Thanks for article about Sasha! But I want to know the name of your last published book so I can order it. It’s DEADLY TIES and I’m pretty sure you bought a copy at Books in Bloom Literary Festival up in Eureka Springs. (And if I’m wrong, holler! Nighbird Books should have a copy in stock, or we can meet up and I’ll get you an autographed copy!